Six members from this year’s Leadership Centre County class took the time on Feb. 27 to visit the Bald Eagle Area School District. And as they do each year, learned a little something new about what the district offers. Stressing the importance of building a relationship with students and colleagues, Wingate Elementary School Principal Jim Orichosky took the group on a morning tour of the school. Orichosky was a Class of 2017 grad of Leadership Centre County. 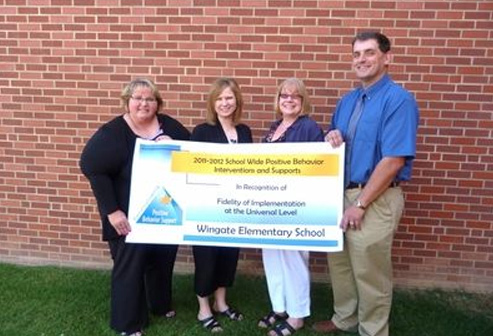 He explained in-school and extracurricular initiatives housed at Wingate that include the Backpack Weekend Food Program in partnership with the YMCA of Centre County; elementary Spanish classes; music education; the sensory room; and more. In Laura Rogus' first-grade class, she said they regularly review the Spanish language by watching a short cartoon-like video and then learn more about new words. They start off with vocabulary such as shapes, numbers and colors; and get into more throughout the year. General elementary music teacher Jennifer Deremer presented information about how she runs her music program. With a fourth-grade class, they played songs for the group and demonstrated how they are learning through a teaching method inspired by Carl Orff through improvised music and movement that complement each other. 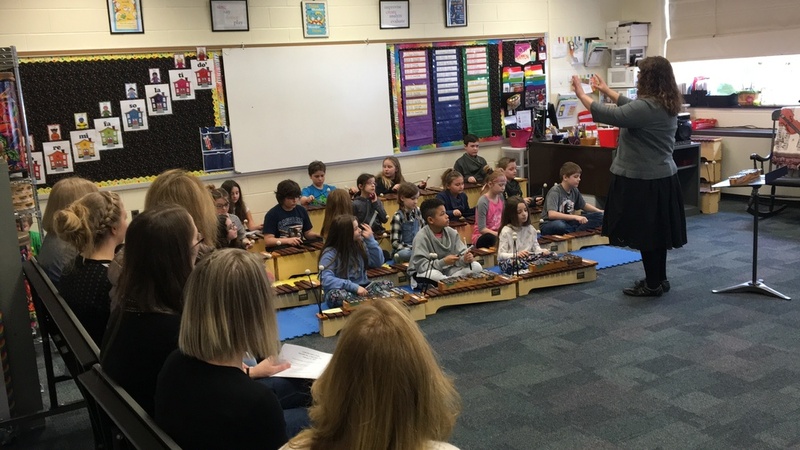 Orff was a German composer who helped enhance music education in schools. In the sensory room, special education teacher Kathryn Burger explained its purpose to help students remain calm and focused, if the child normally struggles with those skills. Designed to have a visual and auditory relaxing affect, the purpose of the sensory room is to cater to students with a variety of sensory deficits. Orichosky also explained the integration of technology in the school, without completely dissolving the use of books and other educational tools. The group then toured Bald Eagle Area Middle and High School with live presentations from students in the agriculture and forest and wildlife management classes who use the kiln, sawmill and have refurbished old tractors. They also met members of the unified bocce teams, and Mock Trial team who regularly work with local legal professionals to help build their knowledge and understanding of the law. According to the organization’s website, Leadership Centre County was created in 1991 to help enhance leadership skills of local professionals and better educate them about programs, businesses and organizations in the area to help build community relations skills. It was founded in partnership among the Chamber of Business and Industry of Centre County, Bellefonte Intervalley Area Chamber of Commerce, Moshannon Valley Economic Development Partnership and Penn State University.